The musicians were all but fighting to get in. 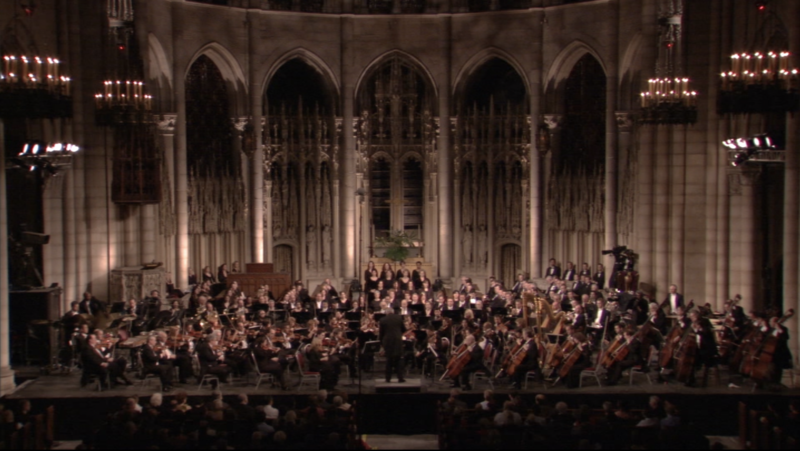 Top players from some of the best orchestras in the United States were vying to perform for free during precious vacation days! The occasion? 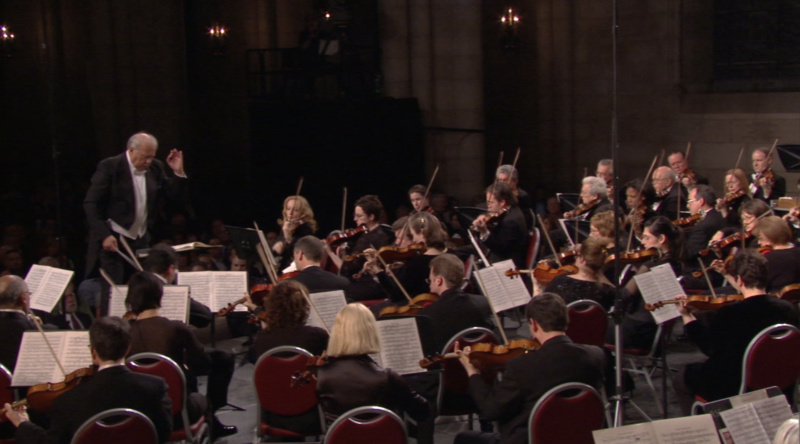 A concert performance of Gustav Mahler’s towering Second Symphony to be conducted by maestro Neeme Järvi and to be filmed as part of a feature length documentary on this extraordinary work. It seems that few other symphonies so powerfully remind musicians of the reason they chose this profession in the first place. 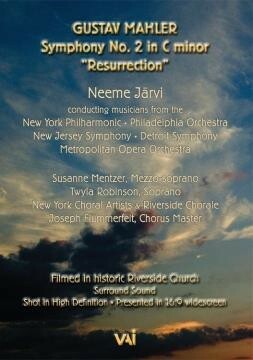 On April 11, 2006 this orchestra and chorus (comprising musicians from the New York Philharmonic, Philadelphia Orchestra, Metropolitan Opera Orchestra, Detroit and New Jersey Symphonies and the New York Choral Artists) together with Neeme Järvi and soloists Susanne Mentzer and Twyla Robinson, performed this work at a public concert at The Riverside Church in New York City. 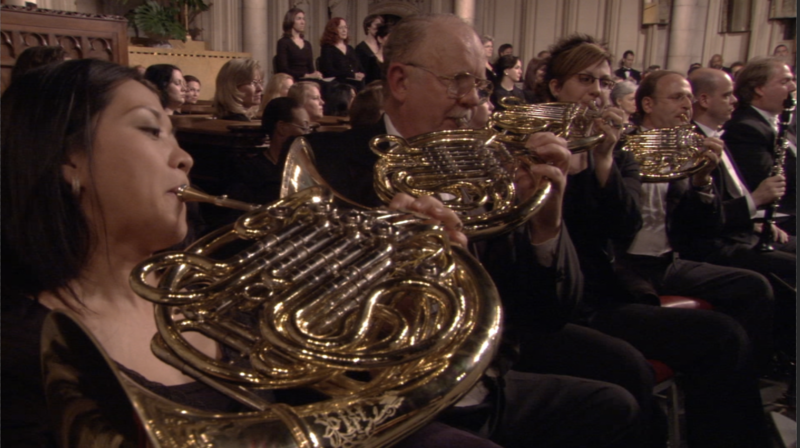 The great enthusiasm that followed the concert prompted a release of the performance on DVD a year in advance of the documentary Of Love, Death and Beyond -- Exploring Mahler's "Resurrection" Symphony of which it is a part. 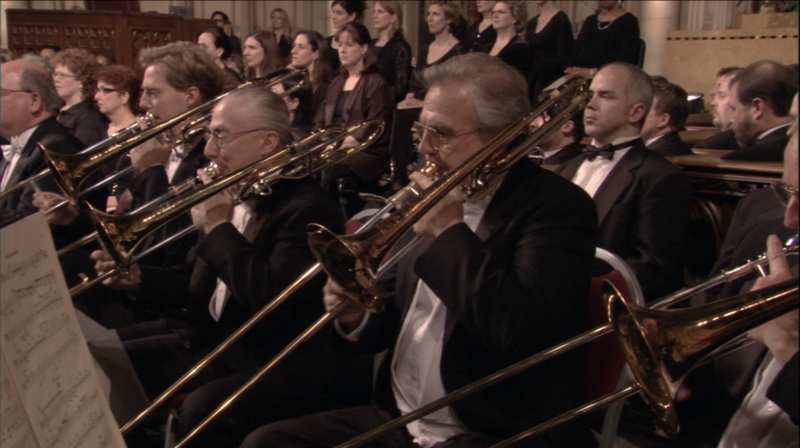 Shot in High Definition with 5.1 surround sound, the DVD is available from Video Artists International. Optional subtitles of the sung text are available in English, French, Spanish and Italian.